Those two words fill my heart with joy. Not only did I do some of my advanced facial training here (brilliant memories of hazy Paris days and nights!) but this renowned Parisian establishment is also home to my favourite beauty product of all time. P50. Never before has a product been so unknown by so many and so beloved by those that have had the privilege/honour/joy of using it. I was introduced to P50 by Sylvie and Olivia Chantecaille – and when these two ladies recommend something – you pay attention. 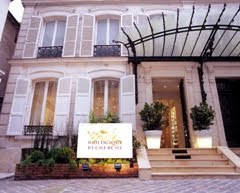 Situated in a lovely courtyard off the Champs Elysee – no. 32 – Biologique Recherche is the home of the renowned Alloche family. Yvan and Josette Alloche founded BR 30 years ago when its main purpose was to devise formulations for companies tired of the same old products. If you have ever had a Carita Lifting facial – the machine they use was originally developed by the late Monsieur Alloche -a biologist passionate about providing skin care that gave immediate and lasting results. His wife, Madame Alloche (recently deceased Jan 2014) – was a physiotherapist and professor of osteopathy obsessed with improving the skin through external manipulation (clearly a woman after my own heart – and a fearsome woman to train under!). Their son, Philippe, runs the U.S. leg of the business and is a doctor providing the knowledge for a range of products that are truly medicinal. P50 is the backbone of the BR range and comes in 3 strengths. All BR skin care treatments start with P50 – although newbies should start with the P50V or P50W – the original may be too much to begin with. 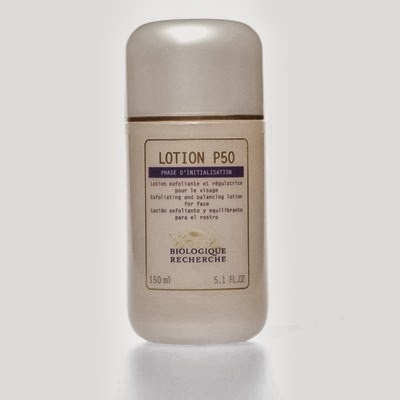 P50 contains (amongst others) Glycerin, Lactic Acid, Usnic Acid, Witch Hazel extract, Myrrh extract, Myrtle extract , Onion extract, Sage extract, Ascorbic Acid, Sulphur, and Phenol. Personally, I think it’s a mixture of the acids – not the usual mixture – and the phenol. It’s really all about the Phenol for me. Slightly acidic, Phenol is a disinfectant, bacteria killer and get this – the best part – a slight anaestethic. It does temporarily, slightly numb after application and the smell is so distinctive that I switched the usual family Germolene for the one that contains Phenol just so I could smell it. 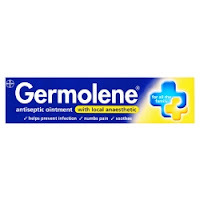 Applied morning and evening the P50 (not the Germolene!) gently exfoliates, regulates excessive sebum secretion, moisturises and helps maintain the epidermis’ acid PH. That all sounds lovely I know – but what it actually does is make your skin look BRAND NEW, feel like SILK and make everything you put on top of it work ten times better. It was number 1 in Allure magazine’s Top 50 Products of All Time a few years ago – and yet still is a bit of an industry secret. Previous Post Loving a little Liberty!